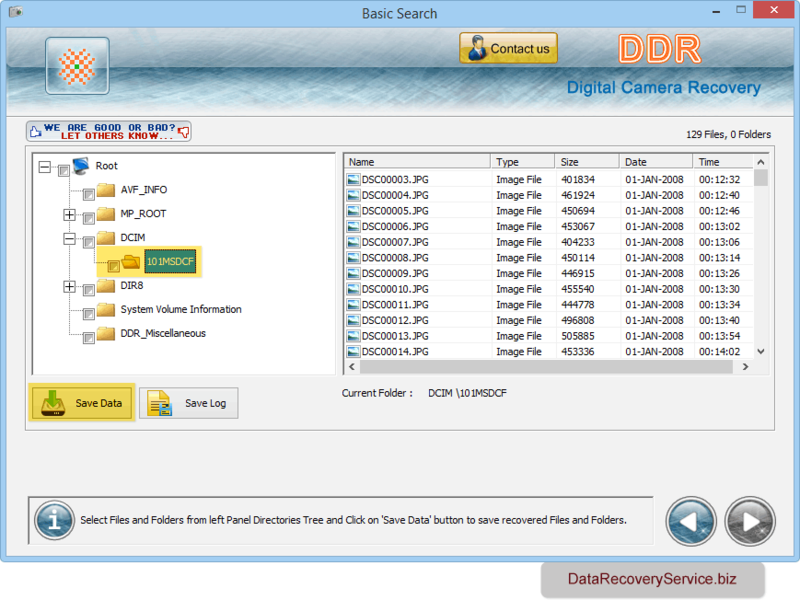 Digital Camera Data Recovery Software recovers lost or deleted digital pictures files from popular digital camera storage devices. 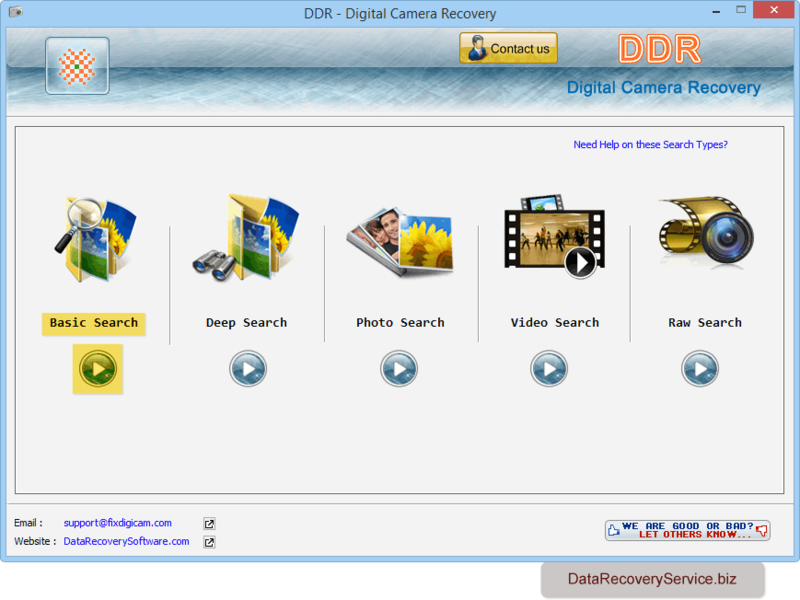 Easily get back inaccessible photographs, still image, snapshot, audio-video files and other similar data from corrupted digital camera. Utility works with all major digital cameras including Compact flash digital camera, Line-scan digital camera, Digital video camera, specialty digital camera, Point and shoot digital camera and other popular digital camera. Retrieves inaccessible digital pictures from digital camera storage devices. Provides facility to scan entire digital camera by using Standard search, Advance search and Raw search disk scanning techniques. Recovers precious photographs lost due to accidental deletion, improper device handling, Lack device knowledge, software malfunctioning, human error and other similar data loss reasons. 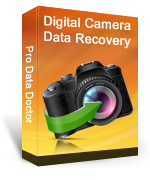 Restore data even if unexpected system shutdown while transferring photographs from digital camera to PC. Compatible with major digital camera manufactures including Canon, Nikon, Samsung, Panasonic, Olympus, Sony, Fujifilm, Konica-Minolta, Pentax, Kodak etc. Supports all major pictures, audio, video file formats including jpeg, raw, tiff, mpeg, avi, wmv, mov, asf etc. 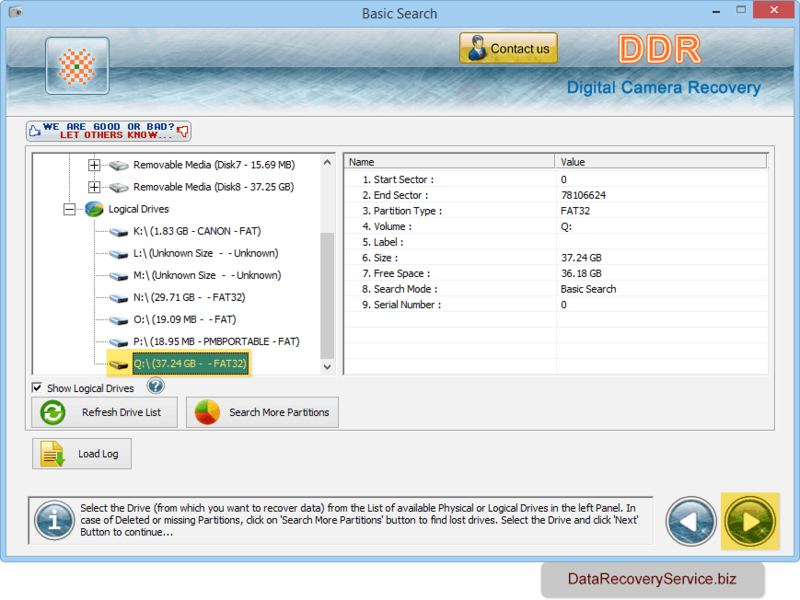 Software has five recovery modes to restore lost files. Select any one mode according to your requirement. Select the drive from which you want to restore lost files and click 'Next' button. Data recovery process is in progress. You can see the status of recovery process. 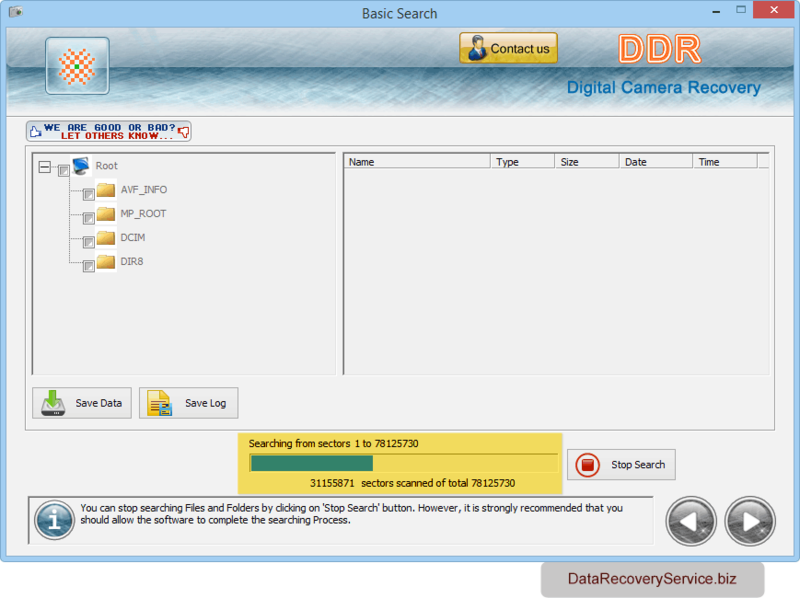 Select data folders and click 'Save Data' button to save recovered files.